Everest Base Camp Trek run through khumbu region of Nepal solukhumbu district. The trekking starting point few different places such as Lukla, Jiri, Sallery, or Phaplu its depends on the customer choice and time. The 80% trekkers they flew Lukla from Kathmandu and journey to the Everest Base Camp. 5,364 meters. 13 days from Kathmandu to Kathmandu the capital city of Nepal. One of the most popular high altitude treks exceeding 5,200m. From the small airplane flight from Kathmandu to Lukla 2,840m. The tea house trek small guest house with cozy room and food, as well as different type of food as Nepali, western and European. And we will sleep maximum altitude at 5,200m at Gorakshep. its challenging and high altitude trekking Trails leads though downhill, uphill at and at point with lots of stairs, Tibetan culture and custom, Sherpa village, rhododendron and pine forest, across high suspension bridge with local wooden bridge, mountain yak, Tibetan monastery, gomba, prayer wells, prayer flag, with Tibetan banner, the river, waterfall, Greenhill, forest icefall, glacier, snow peak, high mountains, sunrise and sunset view over the Himalaya with world highest summit MT Everest 8,848m. Its amazing views with fell like we are at the base of the world highest mountain and proud of our self we made it 5,364m, Base Camp of MT Everest the highest mountain in the world. The perfect the memorable ultimate Himalayan adventure! 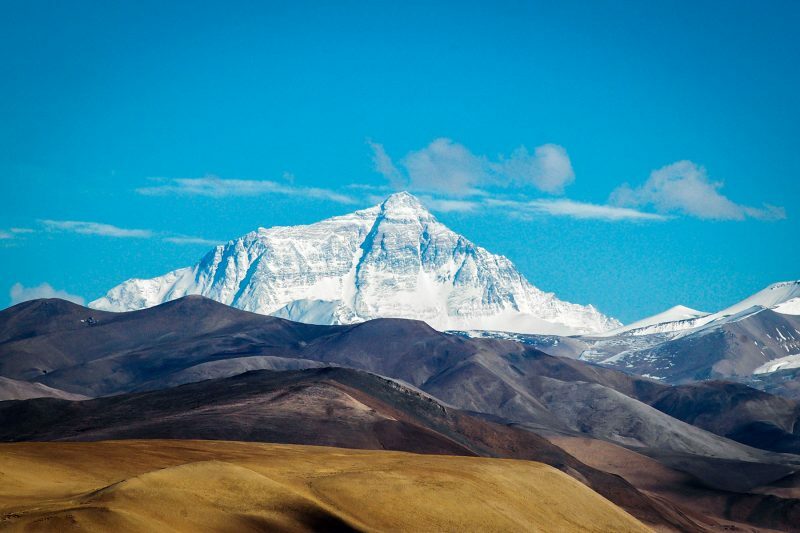 Mt Everest got have three different name as three different language such as Nepali, English, and Chinese. From base camp we are not gone a see the Everest summit because base camp is very low and there is many different mountains all around. It’s amazing along the way to base camp and back but while trekking to Everest Base Camp there is amazing great Everest view from Kalapathar 5,550m. Which is 2:30 hours from Gorakshep. 5,200m. Nepal is the land of mountains set the heart of Himalayas there are over 14 peaks over 6,000m.